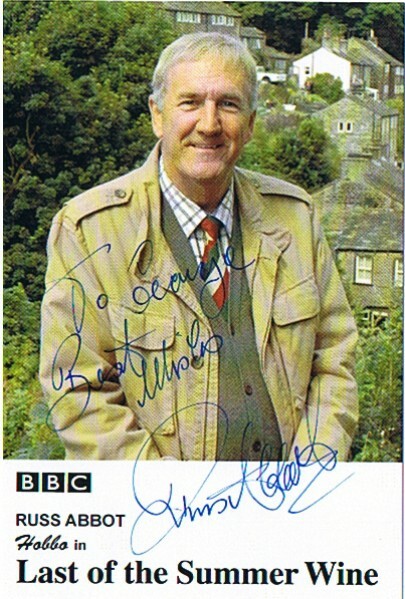 Through Mike Hughes Entertainment, we requested autographs from Russ Abbot, who played Hobbo in Last of the Summer Wine, and received them the following week with our names! He is dealt with by Mike Hughes Entertainment, who currently do not have an official website. The quality of the picture below is not brilliant, but this is how it scanned in.